Russian defense companies were the world's only to significantly increase their sales in 2013 (by 20 percent), Kommersant wrote on Monday, referring to a report published by the Stockholm International Peace Research Institute (SIPRI). The only country whose arms makers significantly increased their sales in 2013 was Russia, which demonstrated a 20 percent growth, said the report "The SIPRI Top 100 arms-producing and military services companies for 2013" which will be presented on December 15 and which has been seen by the newspaper. Ten Russian companies were included in the SIPRI Top 100 list, which was one company more than in 2012. Concern Sozvezdie was upgraded from the 109th to the 89th position. 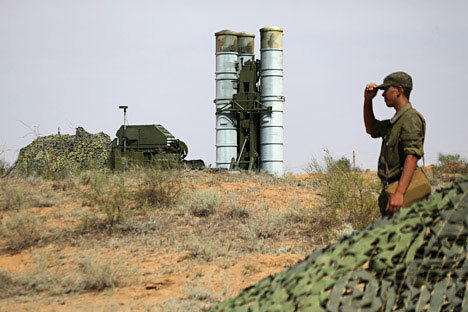 The Russian company with the largest increase in sales in 2103 is Tactical Missiles Corporation with a growth of 118 per cent, followed by Almaz-Antei (34 percent) and United Aircraft Corporation (20 percent), Kommersant quoted the report. SIPRI experts explained successes of Russian arms makers with domestic factors, primarily a surge in government defense orders. Yet sources in relevant Russian agencies told the newspaper that the actual volume of sales by Russian arms makers was even bigger than those quoted by SIPRI. "They [SIPRI] are using information from open sources but we operate with closed data, some of which is even marked as classified," a source in the Russian military technological cooperation network told the newspaper. The total sales of weapons, military hardware and services by top 100 arms makers (excluding China about which information was insufficient) reached $402 billion in 2013, SIPRI said. The decline was the biggest amongst Italian companies (by more than 15 percent) and the United States (over 5 percent). Russian military experts told the newspaper they did not expect a change in that trend in 2014. A possible drop in arms sales caused by the anti-Russian sanctions and budget reductions is forecasted for 2015. A source close to the Russian government told the newspaper Moscow did not intend to sign the Arms Trade Treaty (ATT) which would take effect on December 24. The newspaper recalled that the ATT was adopted by the UN General Assembly last year to regulate trade in tanks, armored personnel carriers, artillery systems, fighter jets, helicopters, missiles, rocket launchers, light weapons and handguns. Russian experts concluded that the treaty was "unfinished and insubstantial", the source told Kommersant.